Solutions for Business - 45 Conversations Media & Education Ltd.
Sure business is business. And work is work. But — it’s more than that. A lot more. At 45 Conversations we believe in making everything about the how and why of work matter. Good work equals great business. Work is changing. Where we work. How we work. What we work on. It’s constantly evolving. With all of this change comes opportunities and challenges. Today’s employers increasingly need to be flexible on multiple levels. Keeping employees engaged, happy and in love with their work is essential. First of all, we recognize that work is about so much more than work. Essentially it’s really about life. The reality is that work is only one part of our lives. We also understand that the nature of work is changing. Quickly and dramatically. This means that employers need to be increasingly creative and flexible when it comes building great places to work. Today — many workplaces can be anywhere. Local teams can be global. And global teams can be local. 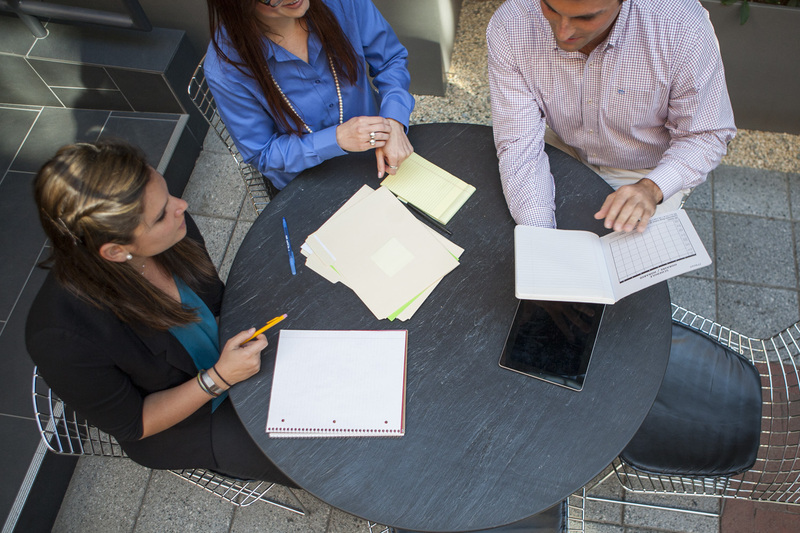 Employers who recognize these realities are the ones that truly succeed. They are the businesses that retain their employees for the long haul, that can respond quickly to changing market needs and that have greater levels of employee engagement. From the smallest workplaces to the hugest global companies — creating happy, healthy and supportive work environments — whatever and wherever they are — is about so much more than the work alone. It’s all about doing what’s right — in business and in life. There is no one approach that’s the right way. There are many. Our client list includes employers of all kinds and sizes — locally and globally. We begin working with you through conversation. Truly. We listen. A lot. We are curious and interested in exactly what it is that you are trying to accomplish. We are interested in your organizational vision, your values and your culture. These things matter to us. A lot. 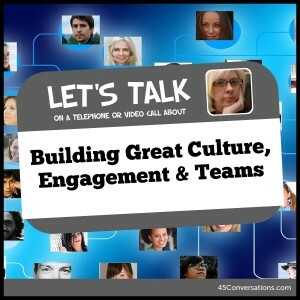 Ways to enhance corporate culture, employee engagement and leadership development. A workplace needs assessment or feasibility study. 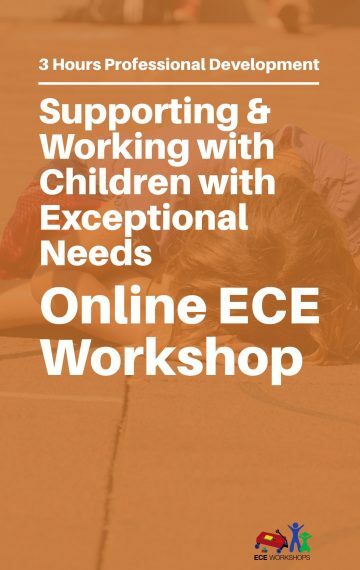 Specific workplace events related to key issues such as child care, elder care, employee wellbeing or education. 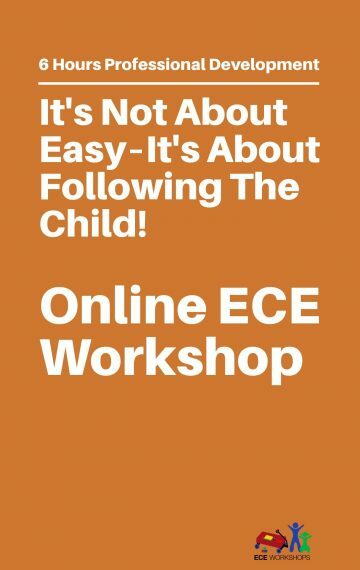 The design, development and implementation of a customized workplace child care solution. 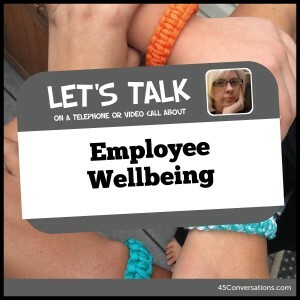 Options related to the development of an employee wellbeing strategy. At 45 Conversations, we provide consulting services and supports to companies who believe that there is more to life than work. These are the exact kinds of organizations we do our best work with. If our approach sounds like your approach — then let’s talk. Jane Boyd specializes in conversations about ways to make work great. She understands the challenges and opportunities that are before today’s workplaces. Book a time with her today to discuss the issues and options specific to your organization’s needs. 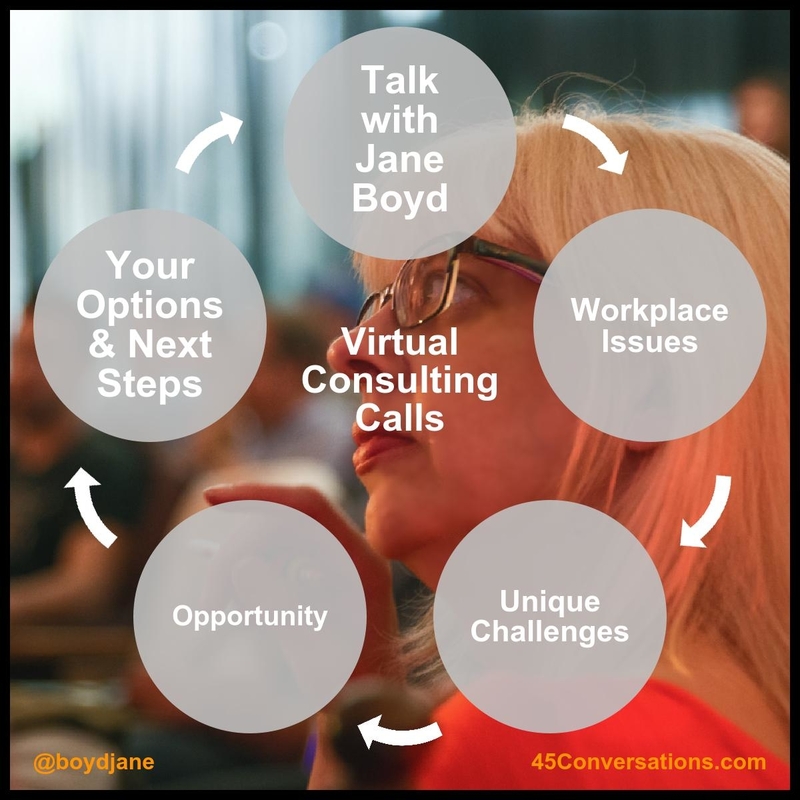 Click on the photo below to book a 1 hour telephone or video call with Jane Boyd to discuss ways to build great culture, employee engagement and teams specific to your organization’s needs. 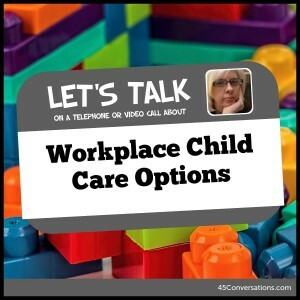 Click on the photo below to book a 1 hour telephone or video call with Jane Boyd to discuss workplace child care options specific to your organization’s needs. 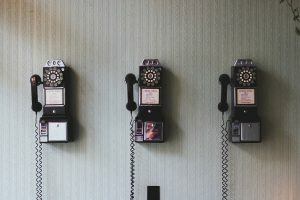 Click on the photo below to book a 1 hour telephone or video call with Jane Boyd to discuss employee wellbeing options specific to your organization’s needs. 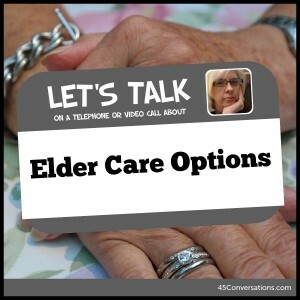 Click on the photo below to book a 1 hour telephone or video call with Jane Boyd to discuss elder care issues and options specific to your organization’s need.